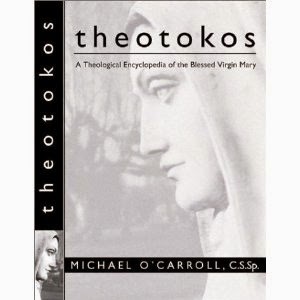 A few weeks ago I Came across Michael O'Carroll's Theotokos: A Theological Encyclopedia of the Virgin Mary. 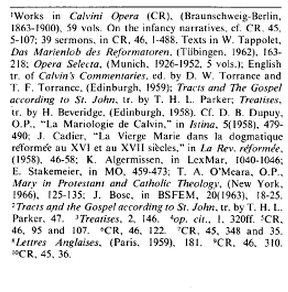 His entry on Calvin was interesting, but unreadable unless one can read upside down. 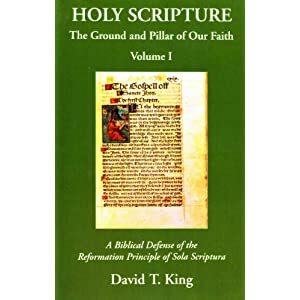 I took the time to flip the pages around. 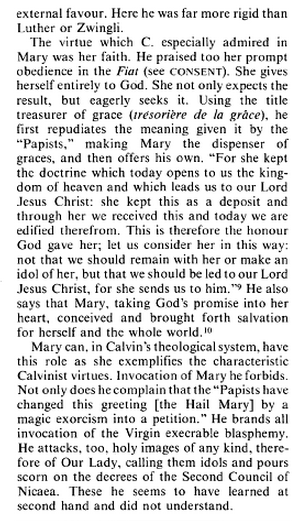 Overall, I think this Roman Catholic treatment of Calvin's Mariology is quite good. 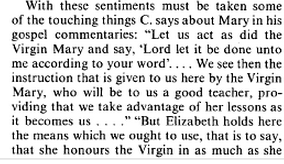 Rome's apologists would do well to consider how radically different Calvin's view of Mary was to the Roman church of his day and the Roman church of our day. 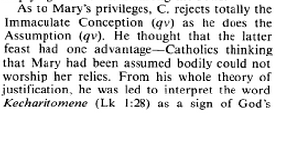 O'Carroll does well in describing the continuity / discontinuity of Calvin with the church of his day as well as with later periods of church history.